Exactly the same cups for shave ice sold at stores! 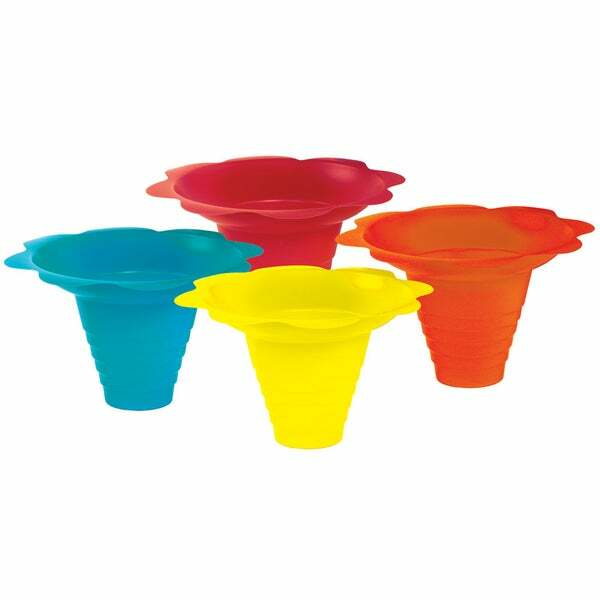 Put some color in your party with these fun, quirky flower-shaped dip tray cups. Solid plastic construction gives you drip protection paper does not offer.